Ernesto Valverde accepts the possibility of Neymar returning to Barcelona from Paris Saint-Germain is "unlikely" but refused to rule it out completely. Neymar left Barca under something of a cloud when PSG activated his €222million release clause in 2017, making him the most expensive player of all time. 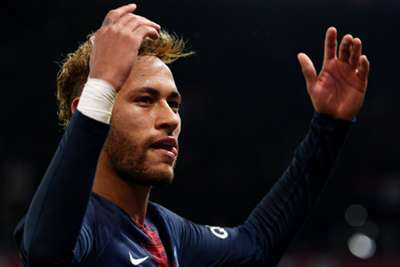 The Brazil star has consistently shone since moving, scoring 27 and setting up 16 in 28 Ligue 1 matches, though the player is said to have struggled to settle in the French capital. Transfer speculation has constantly swirled around the 26-year-old, with a switch to Real Madrid looking a real possibility at times prior to the World Cup. The latest rumours have suggested Barca are contemplating making a move to bring Neymar back to Camp Nou, and Valverde did little to dismiss such talk in Friday's pre-match news conference ahead of the clash with Sevilla. "Any time of the season is good for thinking about these issues, but Neymar plays for a different team. This is all speculation," he told reporters. "It's not even in a transfer period at the moment, so I can't talk about a player and it's not something that'd happen in the next month or so anyway. "Anything can happen in football, but it's hard, unlikely. I don't know, we'll see." Barca head into Saturday's game against Sevilla in second place, trailing LaLiga's leaders by a single point. Some performances have left a lot to be desired and among the players to receive the most criticism is Gerard Pique, though Valverde dismissed the idea that the centre-back's side venture of establishing the new World Cup of Tennis is distracting him. "Pique and his trips that people talk about, people can have their opinions," he said. "But the only thing I find wrong with him is that he had a great idea and it didn't occur to me. I wish I had that idea; everyone would have liked that idea. "Other than that, I think he is 100 per cent focused. There's no problem there." While others have disappointed, Lionel Messi continues to amaze and Valverde is ready in case Sevilla coach Pablo Machin opts to use man-marking against the Barca talisman, a tactic he went with while in charge of Girona last season. "We know it could happen, but we know it could've happened in the Supercopa [de Espana] against Girona, but that depends on them," he said. "We are taking it into consideration, but that's for them to decide and for us to deal with as a consequence. In the past we've always assumed it's something that can happen again."